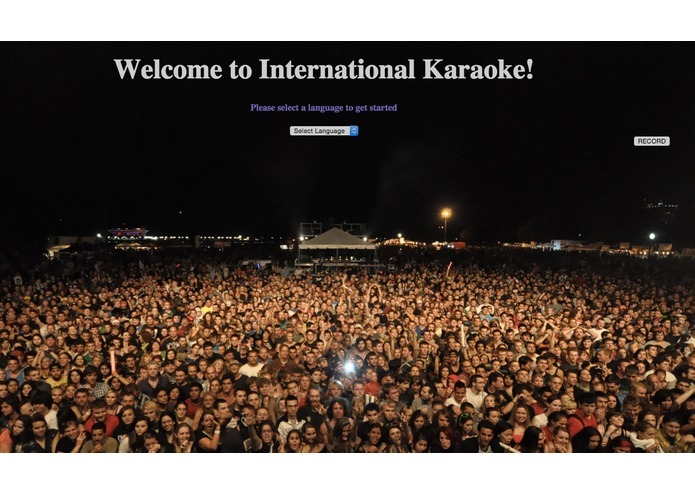 International Karaoke lets users practice their language of choice by singing in a karaoke style environment. Users are able to select a certain language and a karaoke style video with show up alongside a webcam stream of them. International Karaoke is not intended for users that have absolutely no experience with that language. This is designed for users that want to practice a language of which they have some experience.